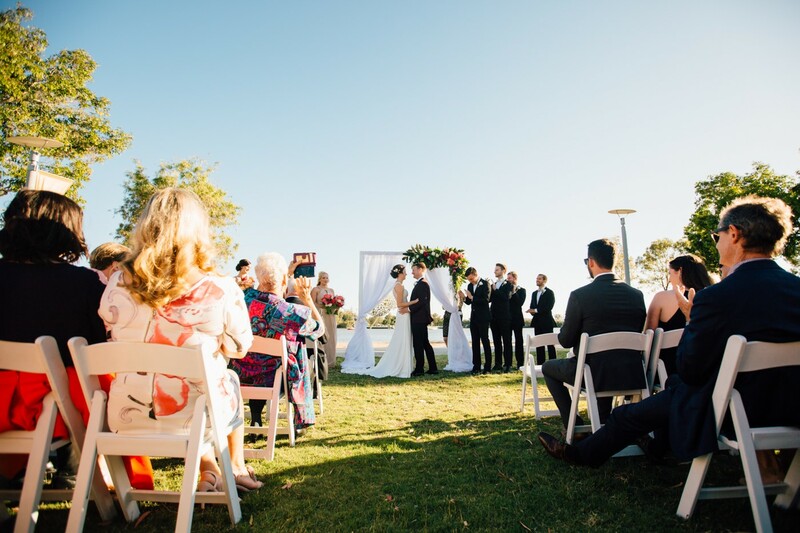 Weddings don’t just bring two individuals together, they bring two personalities, two families, two traditions, and in this specific wedding two cultures together. 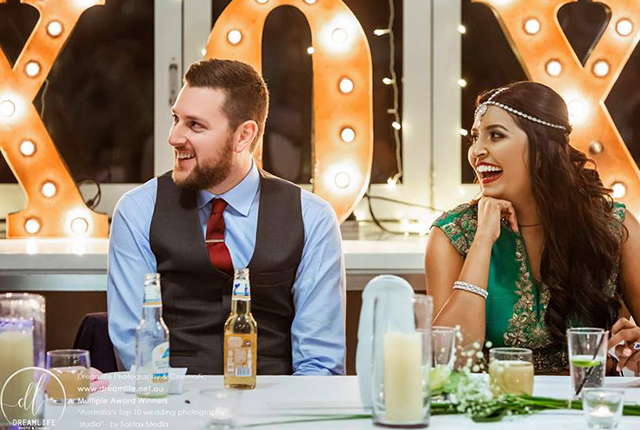 Anu and David were able to show their love for each other, while still being true to themselves and culture. 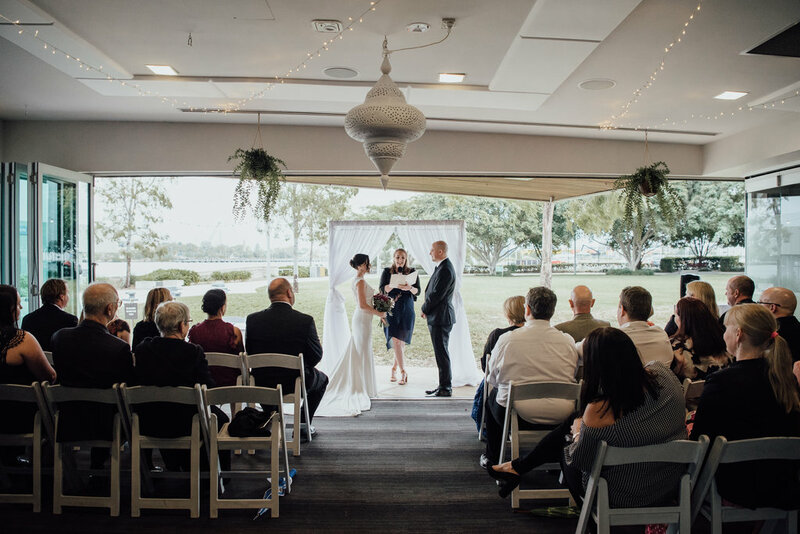 The wedding was creative in incorporating both cultures but never overdoing it at one of the most unique venues Brisbane offers. 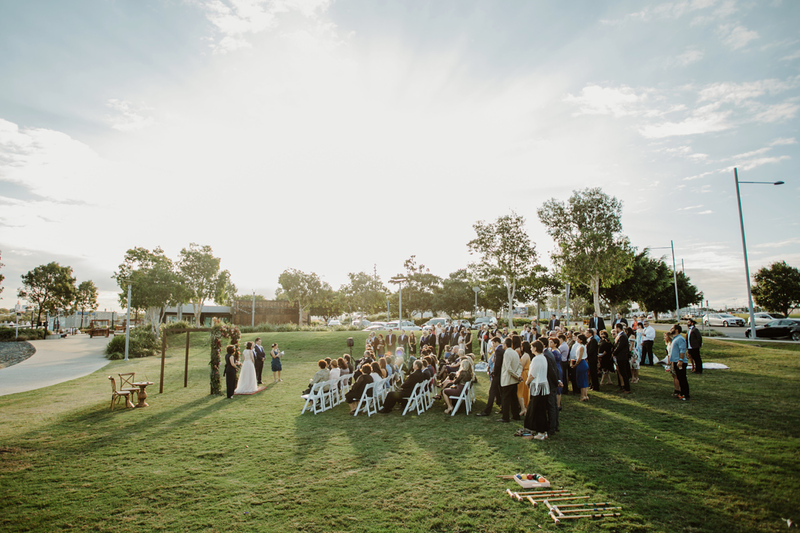 Read on and become immersed in the culture surrounding this Northshore Harbour wedding. 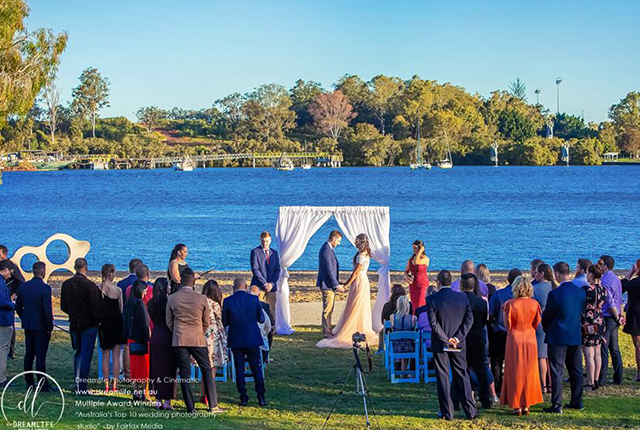 The ceremony took place in the nearby parkland overlooking the Brisbane River. 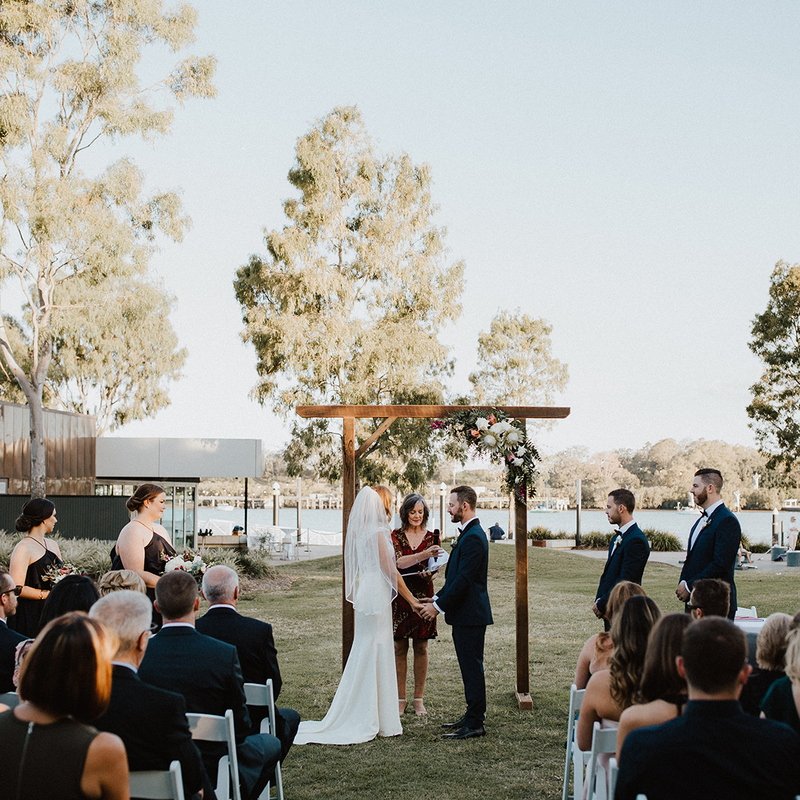 The couple kept the ceremony short and simple, with just the right amount of people. 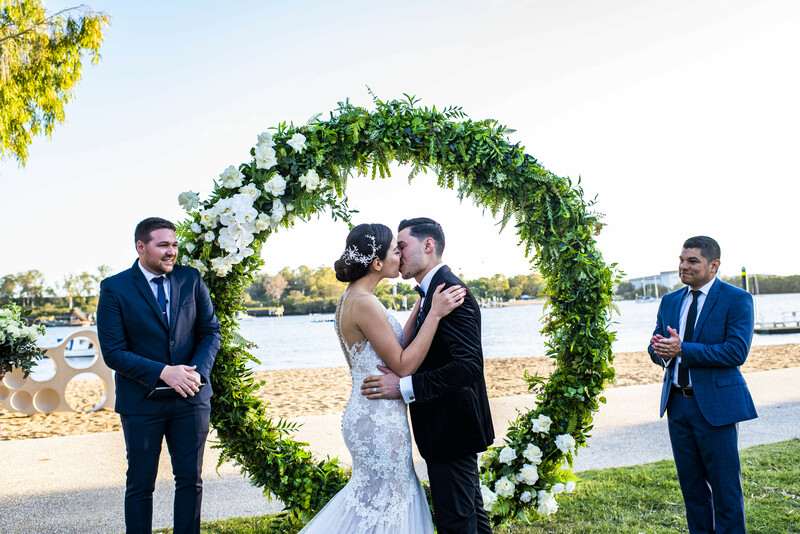 They created a unique cross-cultural ceremony that captured both their heritages. 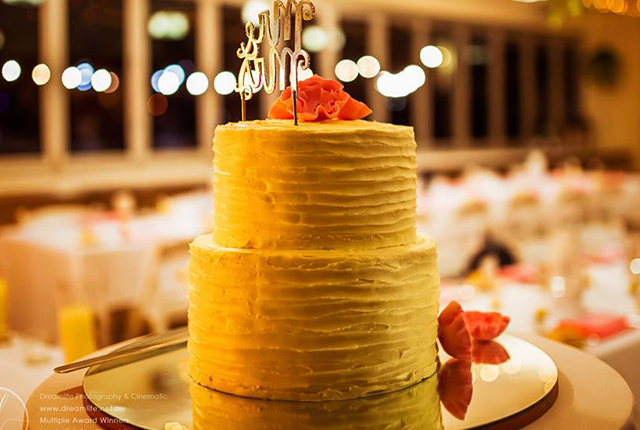 They had a traditional lamp lighting ceremony once inside at the reception. Anu then changed into her traditional outfit. 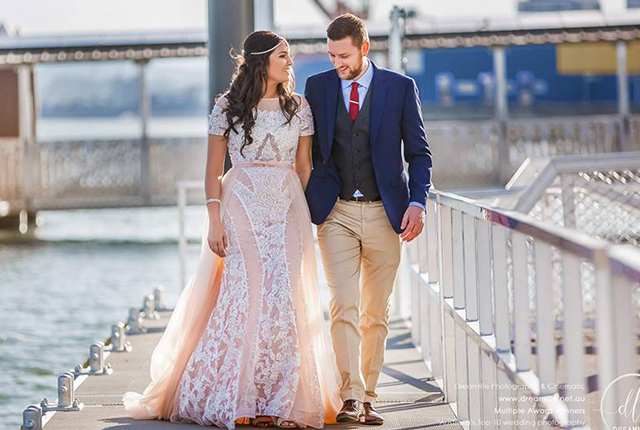 The most memorable moment from their wedding day, for both Anu and David, was walking down the aisle. 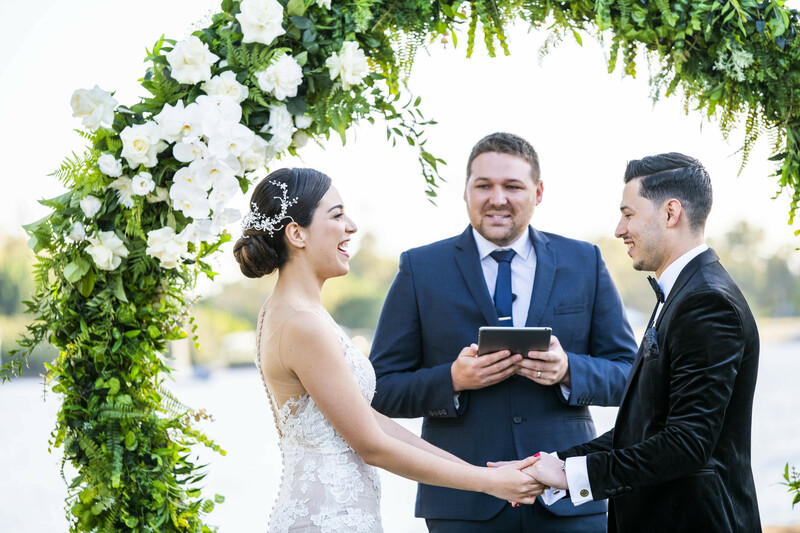 With only a few steps and vows separating them from being officially married, one can feel the emotions flowing through the air. 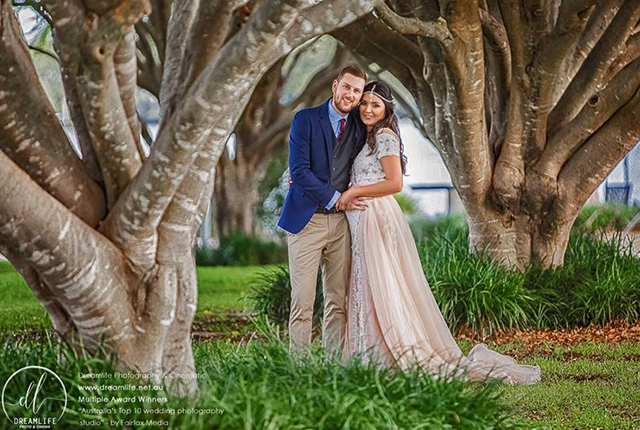 Anu and David decided to do their photographs a little differently. 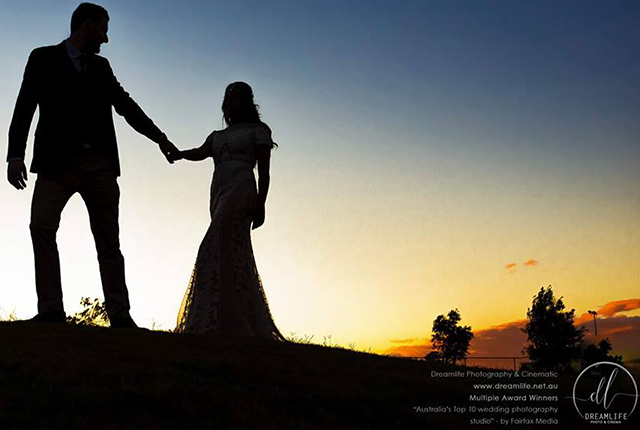 Instead of the traditional photographs, they wanted the intimate wedding moments between them captured. Those moments were the first look and the magic moments that are ever so slight but between them were full of emotions. 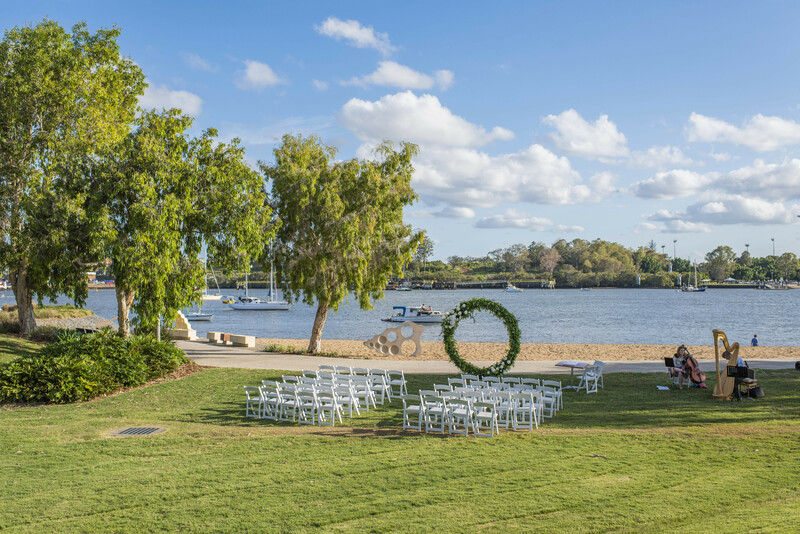 The photos were taken on the pontoon, in the parkland area, and on the private beach. 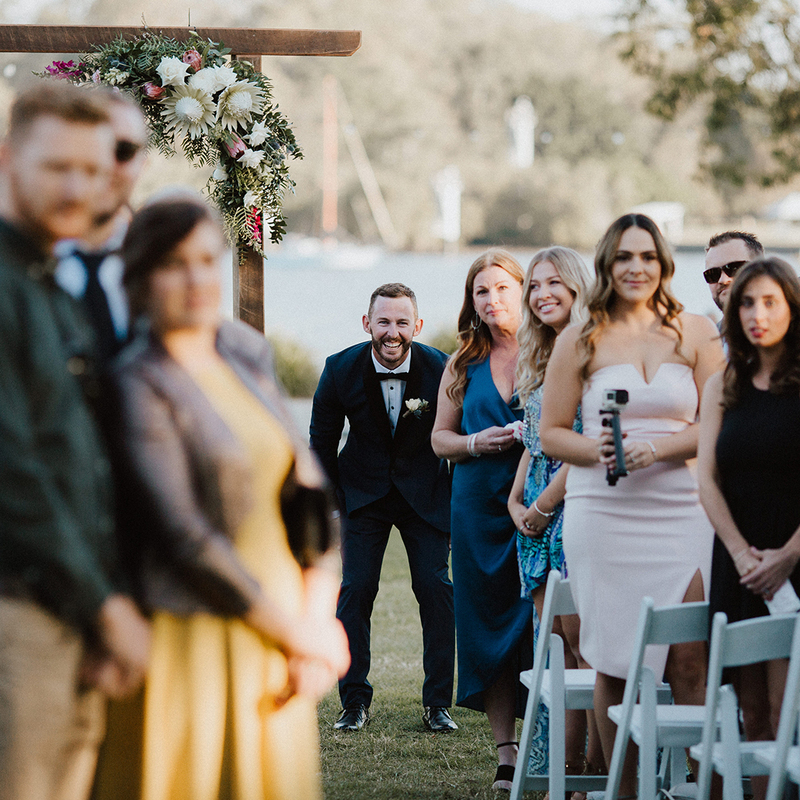 Every photo captured the essence of the unique wedding venue. Anu & and David will be traveling across the ocean to America, Canada, and Mexico. 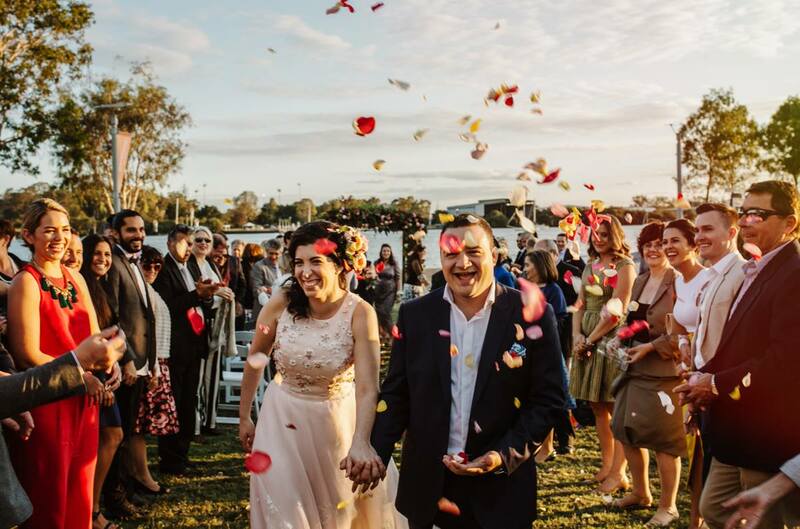 From their wedding day to their honeymoon, these two have shown their passion for celebrating culture.